The signs and symptoms of obesity go beyond the obvious. In healthcare, a sign is the indicators of a disease or condition that may not be notable to the patient. Symptoms are the physical manifestations that indicate the presence of a disease or condition and are usually apparent to the patient. The obvious signs of obesity is excess body weight or size. This is usually most notably in larger than normal abdominal girth. The excess weight in different parts of the body can be the result of different conditions, physical, hormonal and bilogical. Although we have an awareness of being overweight at some point, how we get there is almost an enigma. The process of gaining the excess weight is so gradual that it is often not noticed until we are in a state of excess. This is because one of the causes of weight gain is also unnoticeable. Obesity result in numerous symptoms that are direct result of the excess fat, called adipose tissue that accumulates in various places around the body. The number one sign of obesity is chronic dehydration. Within the sign is the clue to how to finally win the battle of the bulge. Stress Mismanagement: When we are unable to cope with stress or if we have learned bad habits, food may become the stress relief drug of choice. We eat to manage our stress. 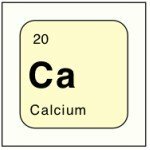 Food Intolerance: Depending on our body or blood type, certain foods may be more fattening than others. Sometimes additives or certain substances in food may cause imbalances that increase our weight. Food Allergies: Food allergies may cause obesity. Hormone Imbalance: more with women after giving birth but even men could have a hormonal disturbance that cause the excess weight to pile on. Genetics: Bad news here, we could have caused our own genetic modification. Good news, we can change our genetics by the same process. Only thing, it will take time. Poor diet choices: Yes, this is a symptom. Refined sugars and carbohydrates can all cause weight gain. Research now shows that our bodies are programmed to force us to eat the very food that is killing us. The solution, change the programming. Sedentary life style: sit more and work hard physically less and obesity will probably follow. Obesity is a symptom of obesity: simply put, we are not fat because we over eat, we over eat because we are fat. Our bodies will make us maintain the fat stores by eating more, eating the wrong things or by slowing us down. Lack of Support Mechanisms: We are social creatures. Obesity often comes with a lack of social supports. For many, these will be essential for success. Sometimes our mates are co-dependent to our health challenge, wanting to be kind while killing us with their love. 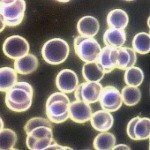 Candida Over-proliferation: When candida gets out of control in your body, there is a theory that it can cause problems resulting in obesity. Remember the signs are indicators that may or may not be noticed by the patient. In other words, we may or may not see the sign, even if it is right in front of us. We may not see the sign even if we are the sign. 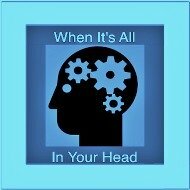 Most importantly, the sign we are not seeing is that we are in a state of chronic fluid and electrolyte imbalance (read dehydration). 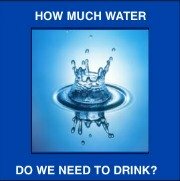 We are getting far less water and salt than our body needs of both. If you are a legal eagle or like to argue, you may throw up a flag here. 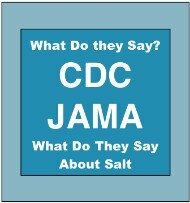 You will say, "But wait, doesn't salt cause high blood pressure?" 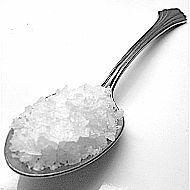 The very doctors who say eat less salt will put a IV line into your arm an put salt water right into your veins. As a matter of fact, during your stay in the hospital, the combined salt from IV's and food far exceeds the salt you probably eat on a daily basis. Why would doctors say eat less salt and then give you more? There is another question. When is the last time you heard a doctor or even the media say to drink more water rather than eating less salt. Holistic nurses routinely lower blood pressure by increasing intake of sodium in the form of unprocessed sea salt and the appropriate amount of water for their body weight and conditions the patients live or work in. The number one sign of obesity is chronic dehydration. The simple cure to end obesity is simply maintaining the water and electrolyte balance at our bodies minimum needs. 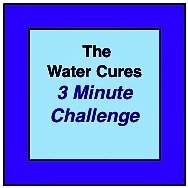 By making using the water cures as a simple life change, only doing it first thing in the AM and last thing at night, most are able to drastically lower their weight. 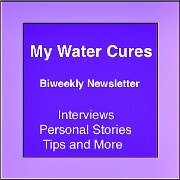 Fully embracing the water cures program, some have attained their weight loss goals, even bold and audacious weight loss goals. By doing so, they have addressed the cause, not just the symptoms of obesity.